2014 Hubert Lamy Saint-Aubin La Princée - mineral, lemon, and toasty oak. 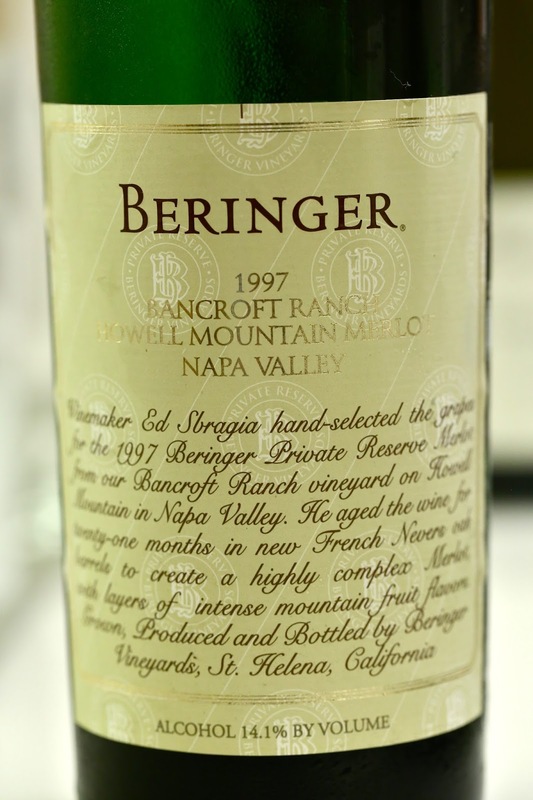 1997 Beringer Merlot Private Reserve - decanted just prior to serving. Nose of stewed prunes, pretty sweet and ripe, plenty of vanilla oak. Very silky and smooth on the palate.